Microsoft recently announced the availability of Windows 10 Insider Preview Build 18358 to those in the Fast Ring. It included some Game Mode tweaks for gamers, with a reminder that State of Decay is still available for free (for a limited time). 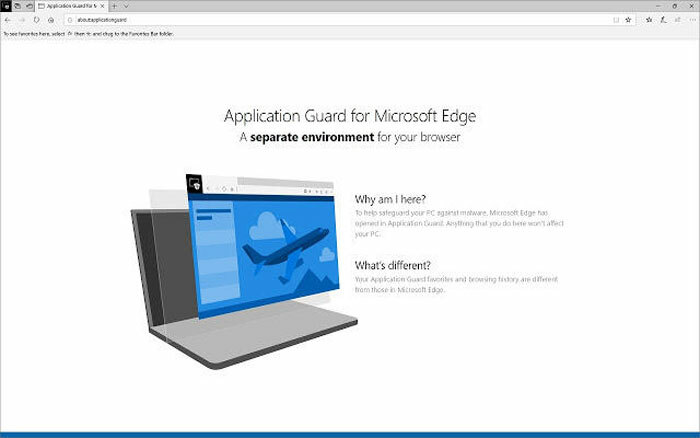 In addition to htat and a few fixes and known issues making the blog post about this release, there is news of Windows Defender Application Guard arriving as a browser extension for Google Chrome and Mozilla Firefox. 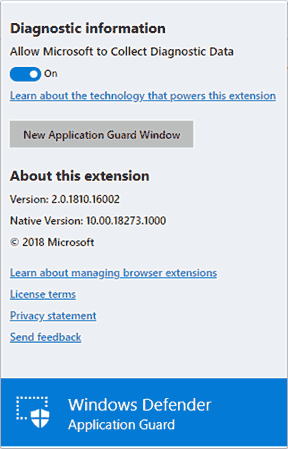 The Application Guard extension for Chrome and Firefox works just like it currently does in Microsoft Edge. As you browse, the Application Guard extension checks URLs against a database of trusted sites defined by enterprise administrators. If a site is untrusted you are redirected to "an isolated Microsoft Edge session," which acts like a 'sandbox' to reduce risk to the rest of your system. 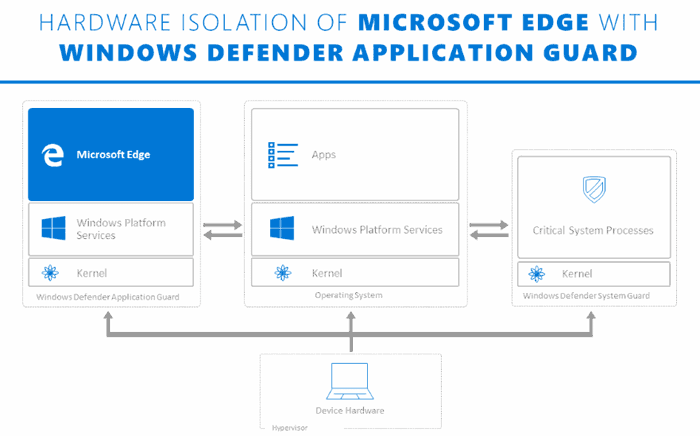 In practice some may be irked that they are pulled out of their Chrome or Firefox browsing session into a sandboxed Microsoft Edge window for untrusted sites, but others will regard it as a reassuring security measure. Alternatively users can initiate an Application Guard session without entering a URL or clicking on a link by clicking the extension icon on the menu bar of the browser. The Application Guard browser extensions for Chrome and Firefox are expected to become mainstream with the upcoming Windows 10 stable release (19H1) which is scheduled for release later this spring.